Farm Friends, an event that was organized in response to the recent boycott on the importation of BC Wine to Alberta, raised $6,000 for the BC Hospitality Foundation on Thursday, February 22, 2018. The boycott has now been rescinded, fortunately and coincidentally so, on the day of the event. Mastermind behind Farm Friends and BCHF chair, Christine Coletta (also owner of Okanagan Crush Pad Winery & Haywire Winery), noted that the BC Hospitality Foundation was a natural fit to donate proceeds to, "As one of the founders of the BCHF, I am passionate about the work we do. I urge other industry businesses to think of ways they can help. In this case funds will be used to support the next generation about to enter the hospitality sector through scholarships". This event was proof that businesses working side by side to find solutions over political grand standing is the way forward. With attendees which included the public, trade, and media, guests enjoyed Alberta foods such as beef and bison made by chefs at Granville Island’s Edible Canada, paired with wines from some of BC’s top wineries listed below. Participating wines at Farm Friends event. Each winery generously donated $500 to the BC Hospitality Foundation, in addition to attending the event and pouring for guests. Owner of Edible Canada, Eric Pateman, proudly hosted this event to support the industry. Congratulations to the brave hearts of our industry for reminding everyone that BC loves Alberta, and that we should always react with warmth rather than hate and opposition. 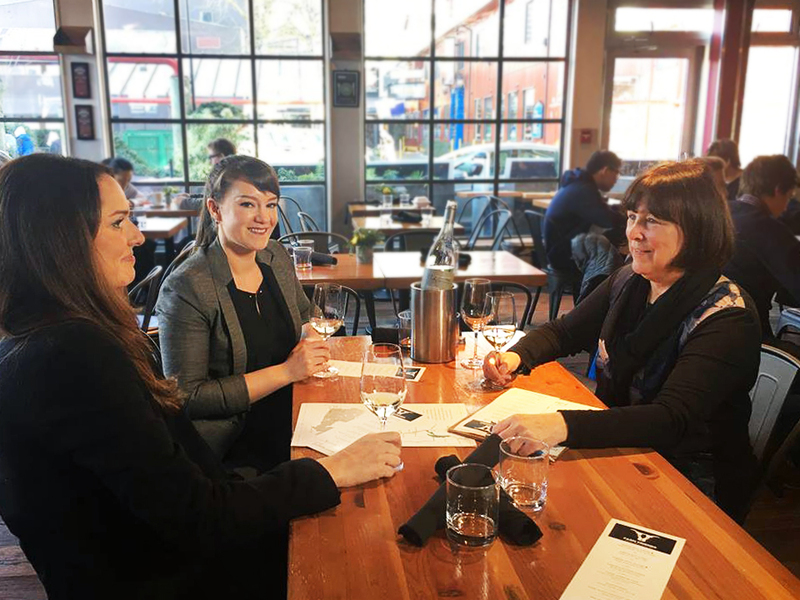 Christine Coletta, organizer of Farm Friends and owner of Okanagan Crush Pad winery, with Lauren Skinner from Painted Rock Winery and Harriet Whitecross from Edible Canada, enjoying local BC wine while discussing details of Farm Friends event.